Known for their keen intelligence, immense strength, and devotion to their young, elephants are unique and fascinating animals. Like other keystone species, they play a significant role in sustaining the ecosystems in which they live. They are also important cultural symbols and magnets for tourism, which make them crucial economic assets in developing nations. A century ago, there were as many as 5 million elephants across Africa. Now, there are fewer than 500,000. They are largely found in national parks and preserves, yet poachers still hunt and kill 96 elephants each day for their ivory tusks. At this rate, we have 10 years left to save them, or they’ll be gone forever. San Diego may be continents away from the brutality of ivory poaching, but we are working locally to halt the ivory demand that drives the senseless killing of these majestic creatures. With a few narrow exceptions, the sale of ivory products in California is illegal. It’s a serious law with serious consequences. In November 2018, my office filed criminal charges against the Carlton Gallery in La Jolla, its owner, and an employee for trafficking ivory in defiance of California law. 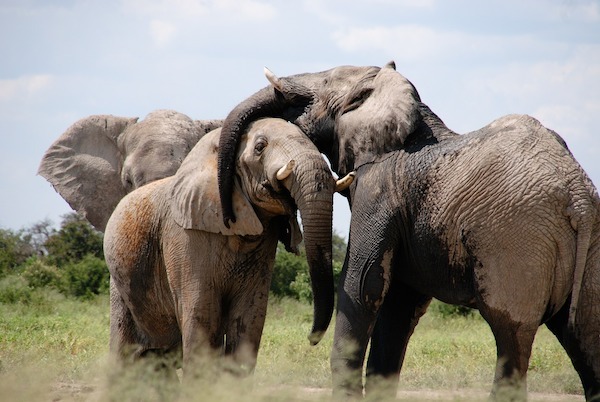 This prosecution follows the largest seizure of ivory products by the California Department of Fish and Wildlife since a state law, authored by state Senate President Pro Tempore Toni Atkins of San Diego, banning their sale took effect in 2016. The investigation into Carlton Gallery began when officers from the Fish and Wildlife’s Trafficking Unit observed two art-deco sculptures that appeared to be made of ivory in the gallery’s Prospect Street display window. They returned and observed additional items that appeared to contain ivory. Through an undercover sting operation, the California Department of Fish and Wildlife seized more than 300 pieces of ivory, and items containing ivory, from the gallery and its warehouse. While we know the black-market value of the confiscated ivory is more than $1.3 million, we may never know how many animals were slaughtered to make these objects. Whatever the number, ivory trafficking is a reprehensible business. We are fortunate in San Diego to have the San Diego Zoo and the San Diego Zoo Safari Park, where we see these noble creatures for ourselves, and teach our children the gentle side of these towering figures — how they show empathy and affection, protect their families, and grieve their dead. I hope this prosecution helps to educate San Diegans about the laws to protect elephants and other endangered animals that have ivory tusks and teeth. I also hope it sends a strong message to anyone who sells, or is thinking about selling, ivory on the black market in San Diego: We will find you, and we will prosecute you. If it weren’t for the sharp eyes of the undercover wildlife officers who spotted a potential ivory sculpture, Carlton Gallery could have continued to profit undetected from the slaughter of elephants. That’s why we need your help. If you suspect a business or individual is involved with illegal ivory trafficking in San Diego, please contact our Nuisance Abatement Unit, which oversees environmental and wildlife protection cases. Contact NAU at 619-533-5500, cityattorney@sandiego.gov, or bit.ly/2MuHNIP. 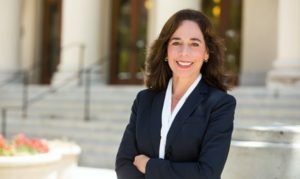 —Mara W. Elliott was elected City Attorney of San Diego in 2016 after serving as the chief deputy attorney for the Office’s Public Services Section and legal adviser to the city’s Independent Audit Committee and Environment Committee. Elliott and the lawyers in her section held polluters accountable, reformed city contracting, cut administrative red tape, and strengthened the city’s living wage and non-discrimination in contracting ordinances.